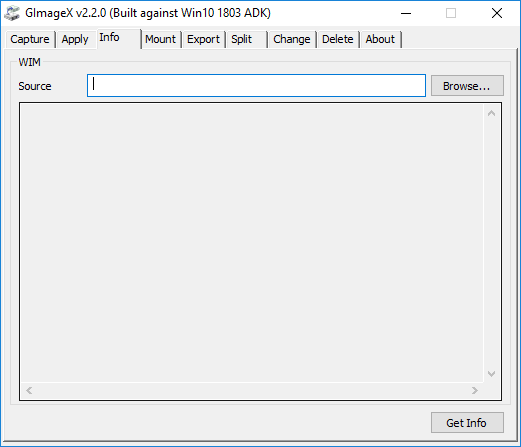 GImageX is a freeware tool. It is free for all uses, including commercial. v2.2.0 14th June 2018 This is the current stable version, tested on Windows 7 and Windows 10. GImageX. Includes x86/x64 components and documentation. Archived versions. Older versions of GImageX are here. 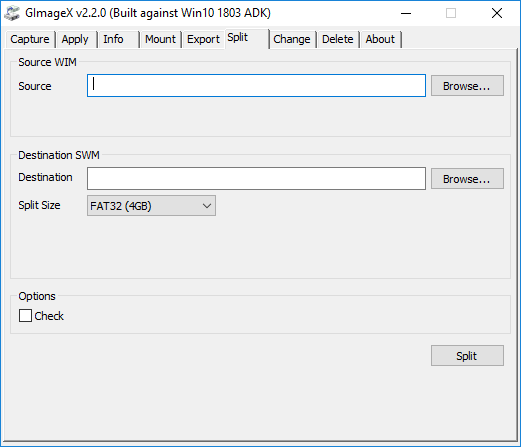 GImageX will run on Windows 7, Windows 8 and Windows 10 (including the WinPE versions based on these operating systems). 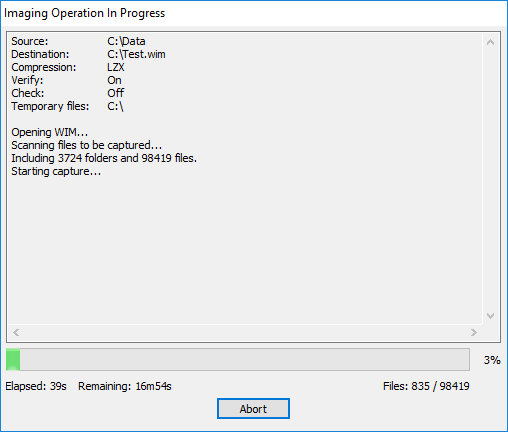 Simply run the gimagex.exe or gimagex_x64.exe file as required for your 32-bit or 64-bit architecture. 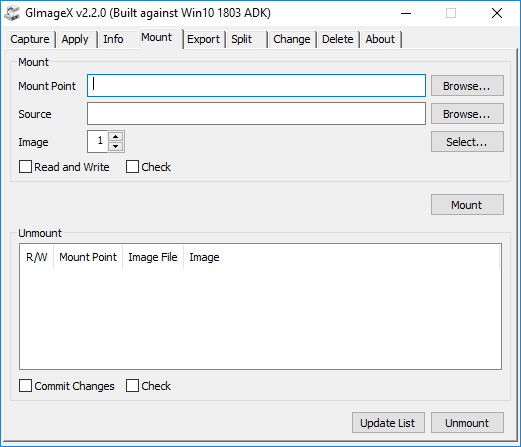 GImageX is a native win32 application and does not require any external runtimes or frameworks. 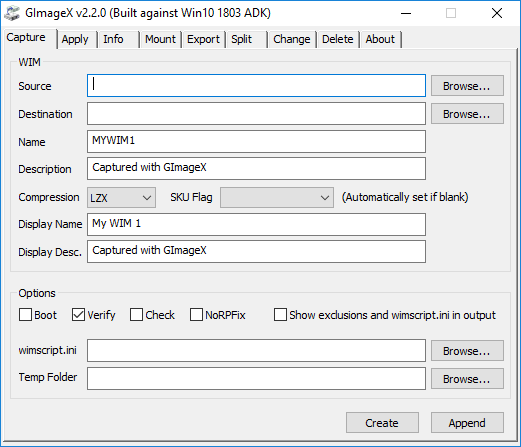 GImageX should function on Windows XP but will require installation of the WIMGAPI dlls from a copy of the Windows Automated Deployment Kit (Windows ADK). Details are in the help file. This configuration is untested and Windows 7 is recommended instead. Here are some screen shots of the various tabs in the GImageX interface.